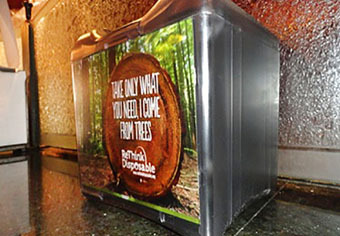 We're working with businesses throughout California to help them reduce disposable products, reduce waste, and save money. Watch the videos and read our case studies below to find out more. And it's not just small businesses we work with. Click here to read about our work with Genentech and here to read about our work at the University of San Francisco. Learn about source reduction strategies and solutions these businesses implemented and how much annual savings and waste reductions they achieved. In a nutshell, it’s a win, win, win. It’s a win for the planet, a monetary win for me, and an operational win. 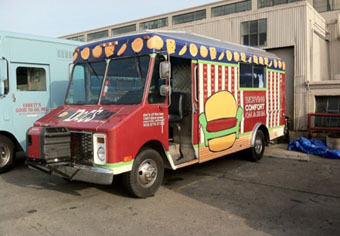 Doc’s is a popular food truck that travels the San Francisco Bay Area. Learn more. 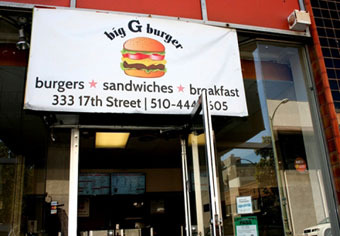 Big G Burger is a family owned and run business in Downtown Oakland serving American fare for breakfast, lunch and dinner. Learn more. 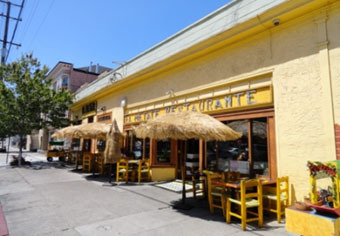 El Metate is a Mexican Restaurant that conducts about 80 transactions per day, 60% of which are to-go orders. Learn more. Cybelle's Pizza is a fast casual Bay Area pizza chain with eight locations. Learn more. 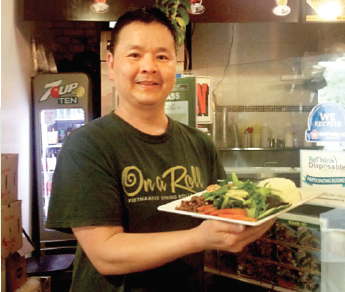 On A Roll is a Food Court Tenant in San Jose, with eight seats, conducting about 100 transactions per day. Learn more. 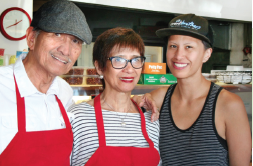 Rene Rose Island Cuisine is a casual dining restaurant in Sunnyvale, serving authentic Filipino dishes to loyal customers. Learn More. J&J Hawaiian BBQ is a family-owned fast casual business in Cupertino conducting 70 transactions per day. Learn More.